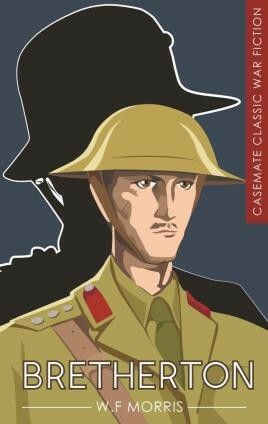 Mystery thriller set in WWI; who was G B Bretherton? How did a British officer come to be dressed in a German general's uniform, lying dead in a ruined chateau? Towards the end of the war as the Germans are in their final retreat in November 1918, a British raiding party stumbles across a strange and eerie scene in a ruined chateau, under fire. Following the strains of a familiar tune, and understandably perplexed as to who would be playing the piano in the midst of shellfire, they discover a German officer lying dead at the keys, next to a beautiful woman in full evening dress, also deceased. But the officer is the spitting image of G B Bretherton, a British officer missing in action…. So follows a tale of mystery and identity, first published in 1930, which is not only an authentic account of conditions at the Front, but also a remarkable thriller, with a highly unusual plot, which won Bretherton comparisons to John Buchan and the best of the espionage writers. John Squire, the influential editor of the London Mercury said ‘of the English war-books, undoubtedly the best is Bretherton.' The Morning Post thought it ‘one of the best of the English war novels. I do not expect anything much better.' The Sunday Times pinpointed its dual attraction: it was both ‘a mystery as exciting as a good detective story and an extraordinarily vivid account of trench-warfare'.